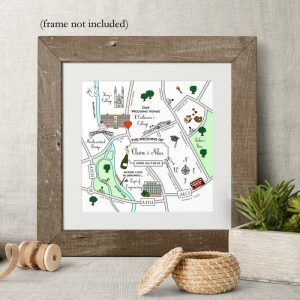 If you'd like to relive a landmark holiday, road trip or just have a highly personal illustration of places with meaning to you or your loved one, a Cute Map is a gift that will capture your journey. 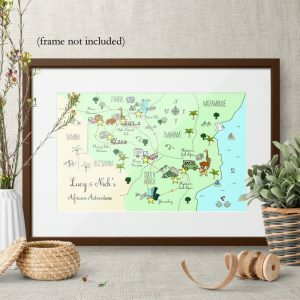 Whether you took a ride on a tuk tuk or went hiking up a mountain we can realise these moments in a Cute Map design for you. 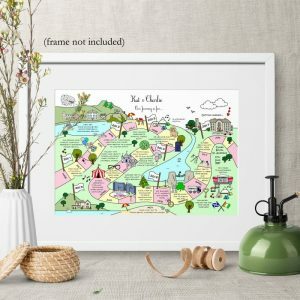 Our Cute Paths are illustrated timelines of memorable moments. 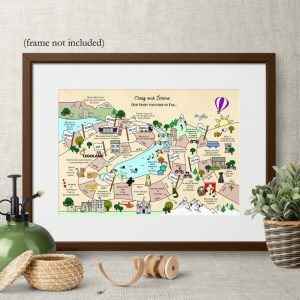 Time frames ranging from a single year, a couple's first years together or 40 years for an anniversary or birthday, can be very cutely (of course) depicted in these intricate creations.